Here's How to Deactivate FB account temporarily | Close Facebook Account Now! HomepeopleHere's How to Deactivate FB account temporarily | Close Facebook Account Now! If you're a Facebook pro, you don't need to go through all those long processes, simply visit this link: www.facebook.com/deactivate on your web browser and proceed to temporarily close your Facebook account. But, bear in mind that you have not "deleted" your account. FB Account deactivation merely suspended it from public viewing. However, all that information gets saved by Facebook, including your friends, photo albums and any groups you joined. Facebook says it does this in case you change your mind and want to use Facebook again in the future. If you have a change of mind, in the long run, you can quickly retrieve your account later by reactivating it. To reactivate your deactivated account, simply log in with your Facebook login details. If you truly want to leave Facebook, there is a way of making a permanent exit. This method forever wipes out your profile information and Facebook history, so you can't reactivate your Facebook account later. It takes about 14 days to permanently delete your Facebook account, but it's not hard to do. 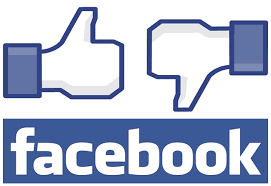 Visit Facebookpeadia on how to quit Facebook permanently.